Heat broth in a stock pot and add meat sauce. Season to taste with salt and sesame oil. 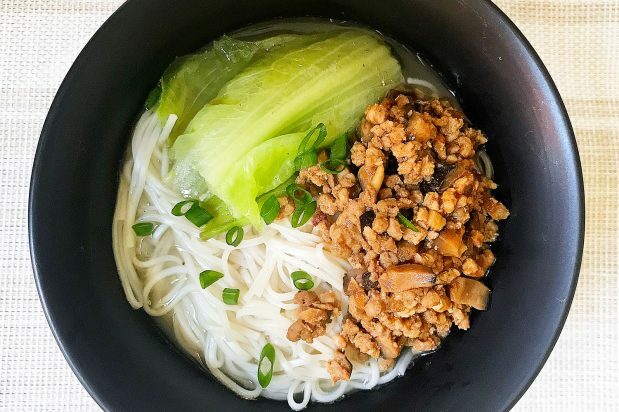 Place noodles in serving bowls and top with blanched lettuce. Pour in soup with meat sauce and garnish with spring onions. Serve.